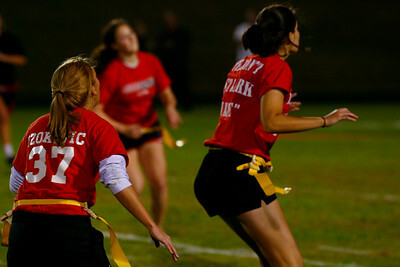 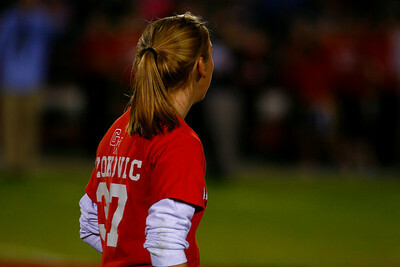 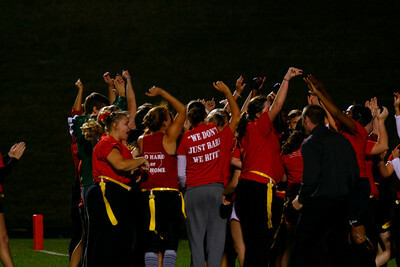 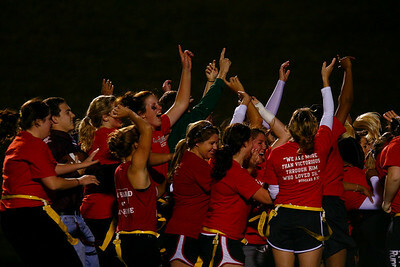 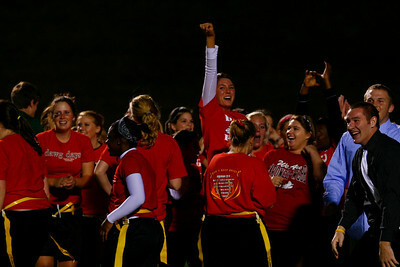 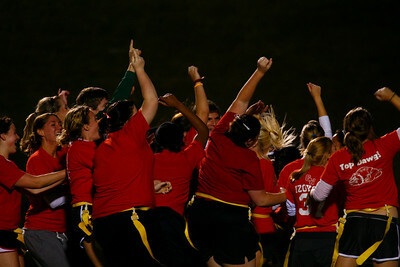 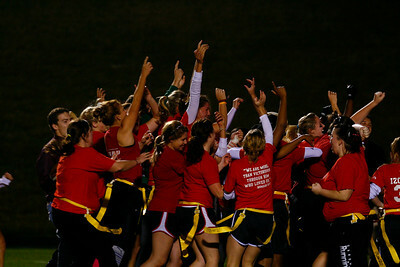 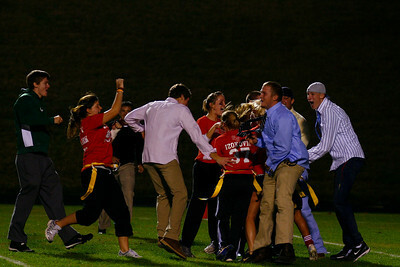 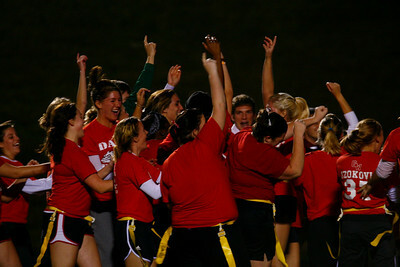 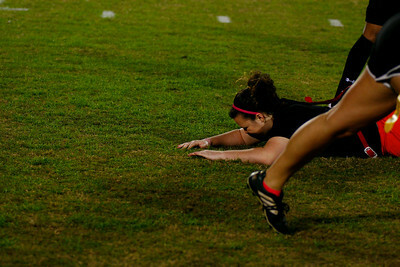 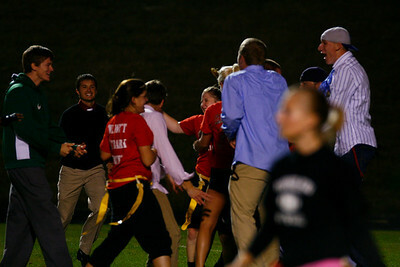 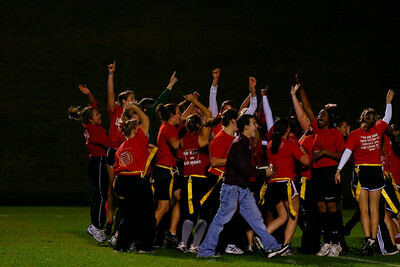 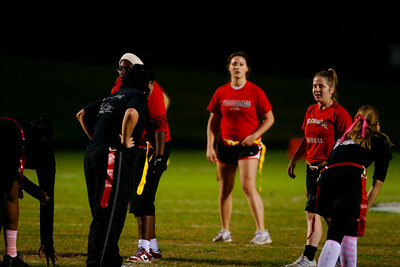 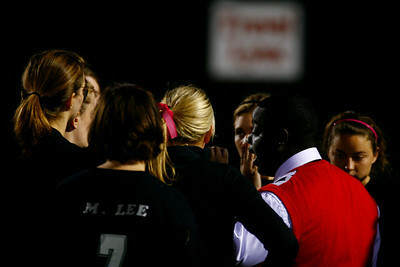 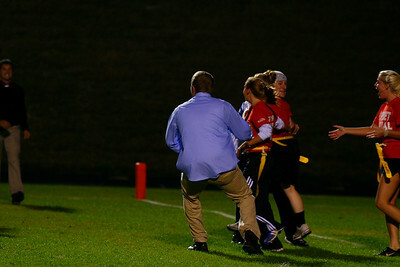 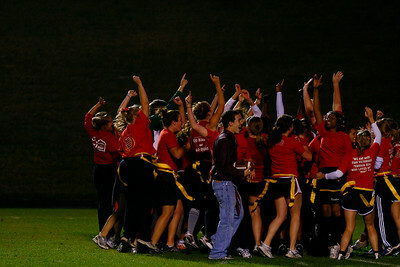 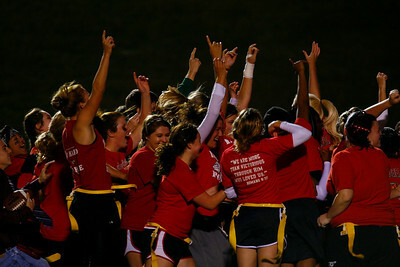 A favorite activity for students during Homecoming weekend is Powder Puff Football, played by girls. 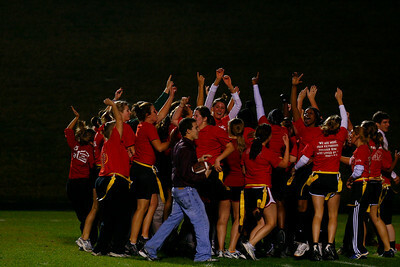 A favorite activity for students during Homecoming weekend is Powder Puff Football, played by girls. 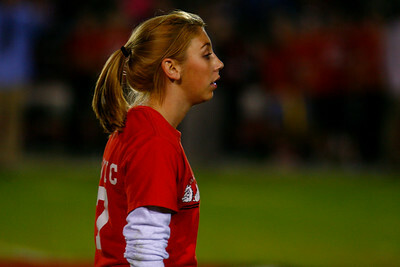 Here Taylor Bowen Prepares for the next play. 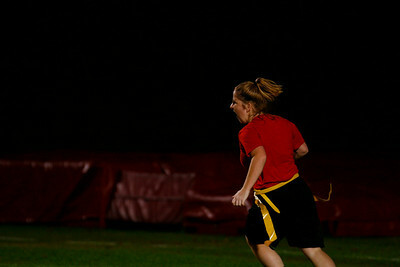 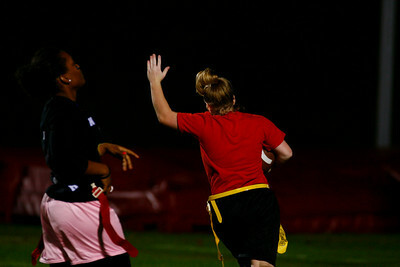 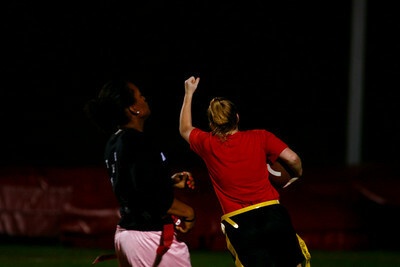 Swooping in for the last touchdown! 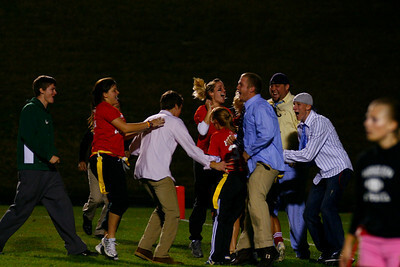 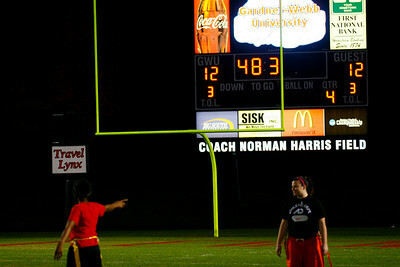 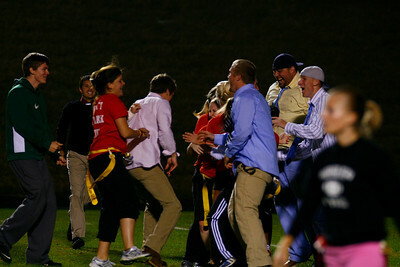 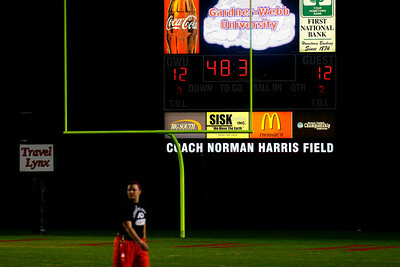 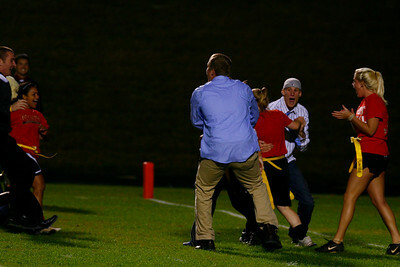 The players rush in laughing and screaming as the last touchdown of the game is made as the clock struck zero.